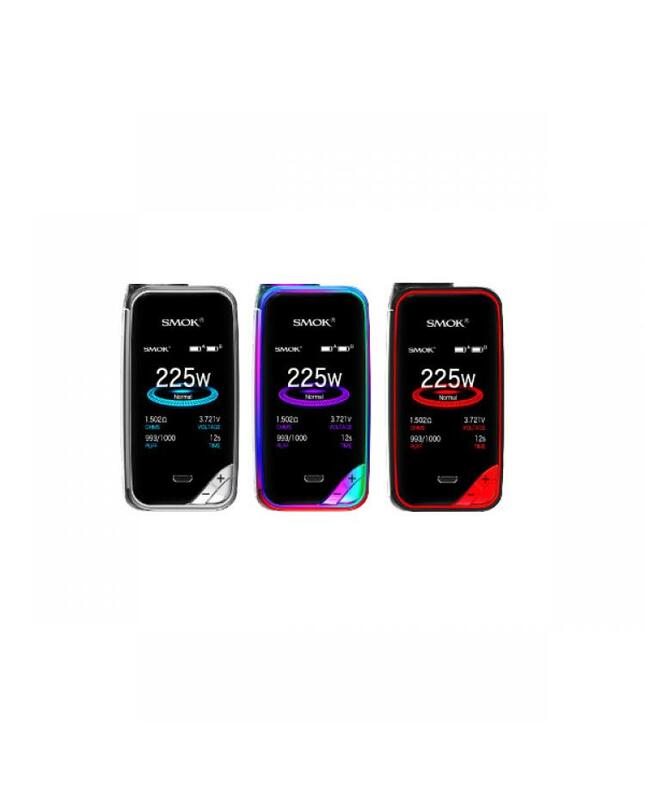 Smok X priv mod is newest smoktech 225W vape mod, seven fashionable colors available, the new x-priv mod covered with glassy material at the front, which like the black jewel, it has a soft luster, smooth surface, and excellent texture. the whole mod with ergonomic design, soft outlines give you more comfortable hand feeling, the up and down buttons are put on the lower corner, lateral fire key is creatively put on the left side, both of which more convenient for you to press. 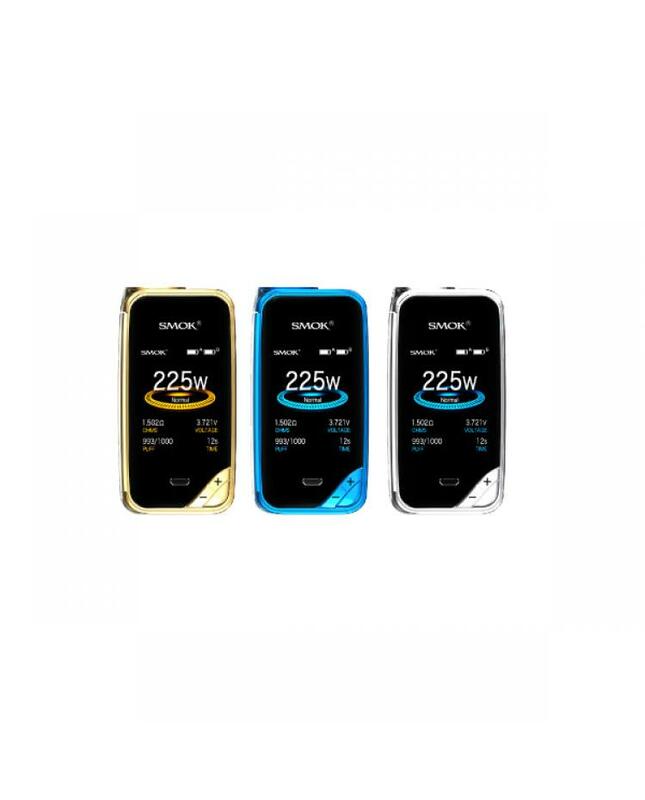 the smok x priv has 2.0inch colorful screen, compared with other vape devices it has higher definition and can offer you a clear user interface, the whole interface looks more intuitive than before,you can see detailed vaping data, such as working modes, vaping effect, voltage, battery life etc, the screen has 6 different colors setting. 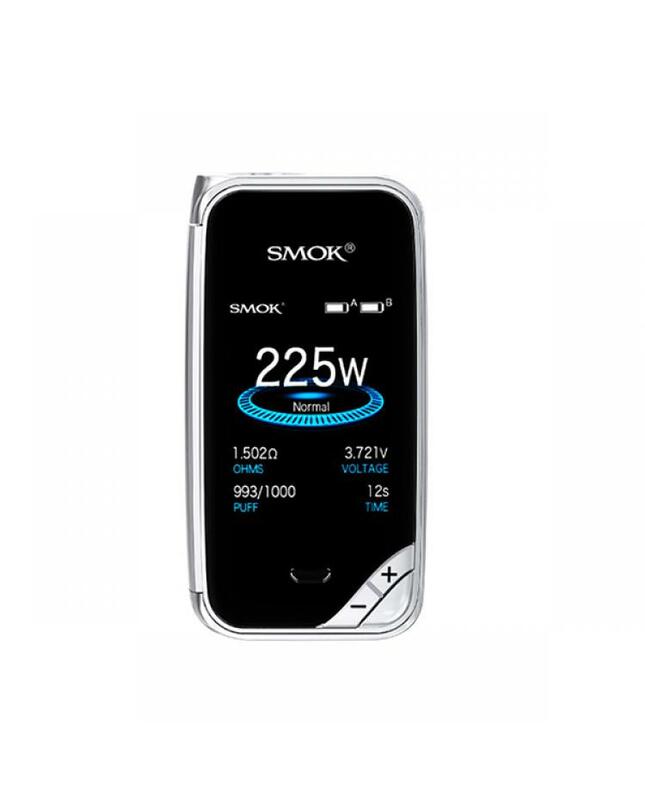 the x-priv battery powered by 2pcs 18650 batteries and max output 225watts, supports resistance as low as 0.05ohm under temp control mode. three different working modes selectable, the temp control mode can enhance the consistency and taste of every puff, the variable wattage mode is great for cloud chasing, memory mode can DIY your personal preferences. the x-priv mod provides multiple types of protections to ensure the vape safe and reliable. 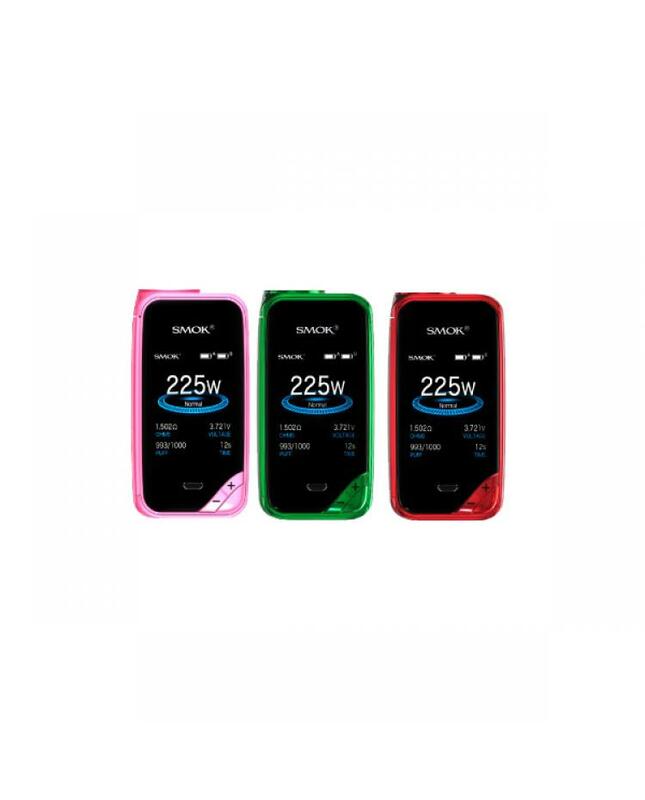 recommend works with smoktech tfv12 prince tank, smok x priv box mod will produce large vapor and rich flavor, powerful function and fancy appearance will bring you a better experience.